Navigate your customers seamlessly through your web pages by swapping or shifting pages on their behalf. Guide your customers in the right way by using the highlighting and drawing tools. Enhance customer engagement with video chat by instant assistance with personalized sessions. Connect with your customers for better live chat experience for meaningful conversations. Interact with your customers with live chat and co-browsing tools to provide a better in-person experience. Co browse technology allows you to reduce the total resolution time and provide instant engagement to your customers. Guide customers in their journey with by seeing the website screen and in real-time by face to face video chat. Personalize your chat sessions and provide effective customer service. Co-browsing solution with WebRTC technology requires no installations or plugins. Communicate instantly with the website visitors by co-browsing with live chat and video chat simultaneously. It makes co-browsing a simple process with no extra installs or hassle. Provide messaging support to your in-app visitors and customers with iOS and Android Mobile SDKs. 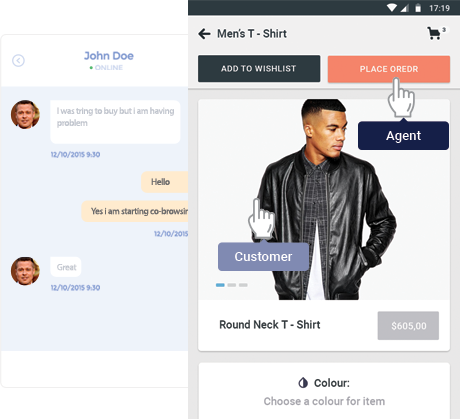 Add chat or messaging inside your apps to provide live chat support or integrate your business apps with REVE Chat’s co-browsing API. Assures utmost security to the conversations, video chats and the shared data, documents, other crucial details during the live chat and co-browsing. Give real time assistance and remote support to your website visitors and customers in an interactive way. Co-browsing can easily be added with video and voice chat to handle customers queries instantly and effectively. 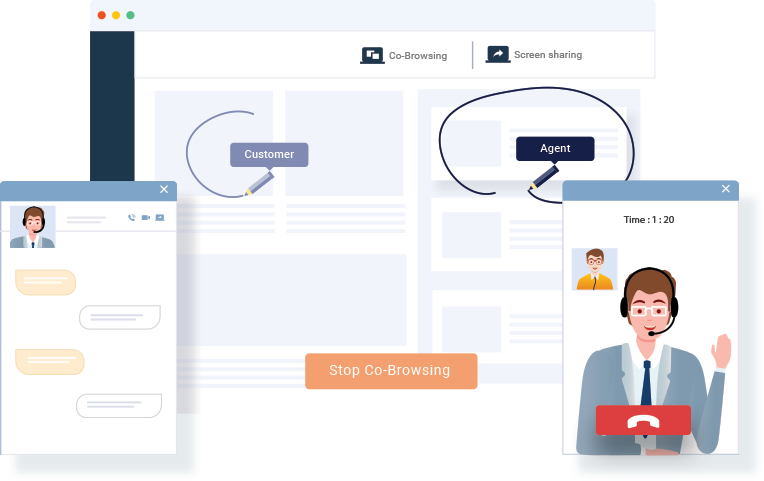 By combining video chat with co-browsing, you can manage your customer’s browser and proactively guide them in the right direction. Visual engagement helps to accelerate business growth and sales conversions with personalized interactions. The definition of co-browsing is to collaborate with customers to help them in real time. With better tools, you can improve KPIs such as average resolution time and customer satisfaction scores. You can also identify how much productive your team and areas of improvements. Assures high security to all the documents, video chats, conversation history, sensitive information (like card details, login credentials) shared during the co-browsing sessions. Co-browsing technology combines the power of WebRTC to deliver seamless interactions without downloading any plugins. It allows peer-to-peer video & live chat, and delivers a seamless experience to customers who look for instant in-context communication. REVE Chat offers an integrated platform for a real omni channel experience across various channels such as messaging apps, social media, mobile, web chat etc. Interact with your customers by using the effective. 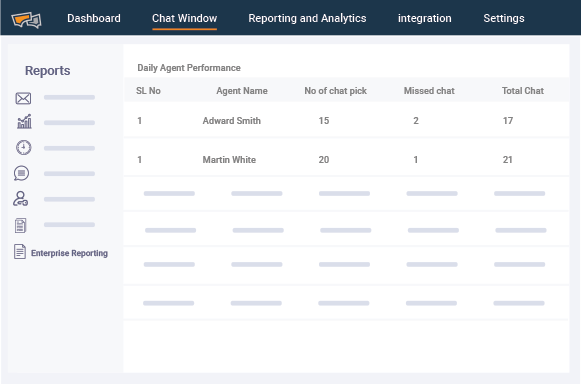 Route your customer chat requests automatically to the right support agents and instantly engage them. If the agents are busy, the chat requests are queued, and the customers are attended once the wait time. 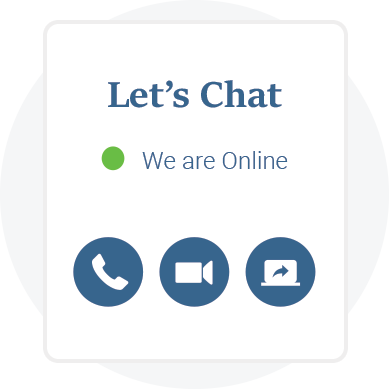 Customize your live chat widget with preferable requirements that match your website branding. It helps customers to connect and interact with your website in an effective manner. Advanced reporting helps to understand how your team or agents have been performing with metrics such as first response time, average resolution time or also understand your KPIs and performance. Deliver real-time assistance to website visitors with visually engagement tools like live chat, video chat and co-browsing platform. Agents can answer the queries instantly, make video calls and assist the potential customers with co-browsing to help them make faster decisions. Guide your customers to take necessary action with the drawing and highlighting tools. With best co-browsing, support teams can help customers with remote support from anywhere without downloading any plugins. 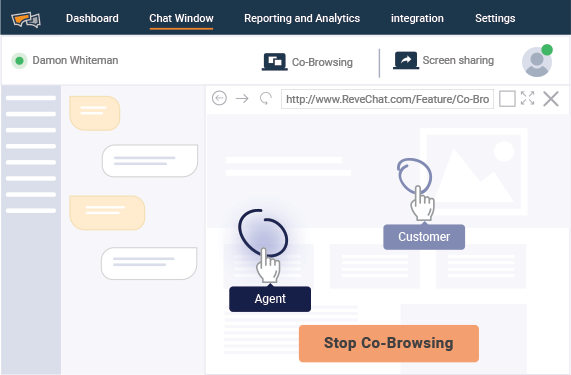 Engaging with your mobile app users can be done seamlessly with REVE Chat’s co-browsing API for iOS & Android.Asisst your app users inside your app with REVE Chat’s best cobrowsing software API. Mobile apps can now add co-browsing solution for in-app messaging to engage and assist app users in real time. Deliver personalized sessions to your customers while using your app with co-browsing and screen sharing. Whether it’s onboarding or product demo, REVE Chat’s best co-browsing tool makes the customer communication seamless. What is the best co-browsing software?